AFC Unity is a women’s football club situated in Sheffield that displays that all stereotypical views of football only being “a man’s game” are nonsensical as they are a football team that have extremely diverse and talented players who are all individually adept in different areas of the pitch. These include midfield maestros, pacey wingers, skilful dribblers, and many more. AFC Unity’s ethos is that it is one of collectivism: Unity promote and encapsulate the team-working spirit through the style of football they play. Furthermore, they encourage individuality and flair, and value every individual’s unique traits. 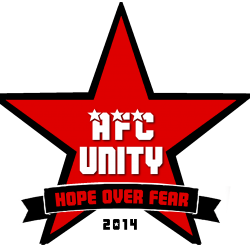 However, AFC Unity reject the cutthroat individualism that is often affiliated with football and instead choose to embrace the more positive, unifying qualities that they feel are inherent in the sport: namely, teamwork. Unity’s football philosophy has been developing over time. When they first established the club, they began by signing whatever players they could find, they were a lowly unknown start-up. Nonetheless, many of the original players that joined Unity were revelations, and some are still playing for them to this day. However, as time passed, they knew that they needed to make the football they play reflect who they are as a team and as a club. AFC Unity abide by Johan Cruyff’s (two-time Ballon d’Or winner) approach to football; they feel that this is the missing piece of the puzzle, as it is an appropriate fit for their style of play. For example, Unity place an emphasis upon passing, which would be to work the ball upfield utilising each and every player, where the goalkeeper would be the first attacking player and the strikers are the first defensive players. This style of play has been a difficult task to execute, as at Unity’s level there’s a common culture where, due to there being no assistant referees, teams tend to sit deeper defensively, and then play long balls for aerial battles, often to one or two key target players, which of course is not sustainable and partly the reason so many clubs flash and fade. AFC Unity is one of around six of the nineteen clubs that played in their league when they first began. This shows just how many dominant teams lost their key players that they were too heavily reliant upon, or lost funding that was used for the men’s team in their club. Unity don’t play the long ball game, but they have played the long game – they are immensely proud of what they’ve accomplished, and that their club is sustainable and is strong, and bigger than any one individual (yes, including the manager). They are a feminist football club, that are wanting to promote the women rather than make it about the man who manages the team, and they are extremely proud to be one of the very few teams to be independent, separate from any men’s club. The most recent occurrence for Unity was learning the style for the new additional players who signed for Unity over the summer period and incorporating each player into the positions suitable for them. This has however taken time and just now they have had to switch up the formation to accommodate for the uniqueness of each and every one of the players. It isn’t just as simple as shoe-horning a system upon a squad; they need to play to their strengths and accentuate their positives, rather than be dogmatic. Fortunately, they have been able to do that recently, realising that the core nexus of the squad week in, week out, is now more befitting a slightly varied system – and the system is not to be confused with the style of play, as any coach would tell you. They are still able to maintain their style of play, regardless of the system. Therefore, in training they have had to tweak certain things. For example, while they still want to get better at cutting out basic horizontal passes in their own half, they need to feed the forwards differently given that the formation has been modified. Previously, they often had to go inwards first because if passed directly to wide forwards down the flanks, they would have their backs to the goal; whereas now, they are having to find different ways of doing that as up front is where it has really changed as much if not more than in midfield and at the back. This has been reflected already in recent games, where they have conceded less goals but also haven’t been able to convert as many chances. Therefore, they will need to work on these tasks in the coming weeks in training. 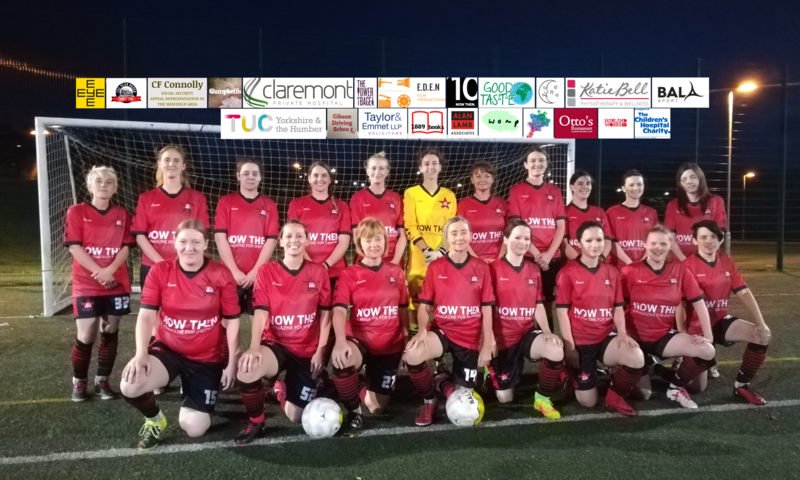 The Solidarity Soccer programme is Unity’s own informal weekly session that is aimed at all women who have the urge to play some football in Unity’s own style of play without having to be committed to the club. Some women just want to attend as and when they choose, and enjoy the atmosphere, and an activity that is good for their physical and mental health, in a completely positive environment. Others embrace all that, but also have ambitions to play for the first team. Therefore, this offers something for the local community, and an option that very few clubs provide (where it’s usually only focusing upon the development of solely the first team or nothing), but it also acts as a sort of development system for Unity as well. They have had several players recently come through up into the first team after training for months or even years at Solidarity Soccer.